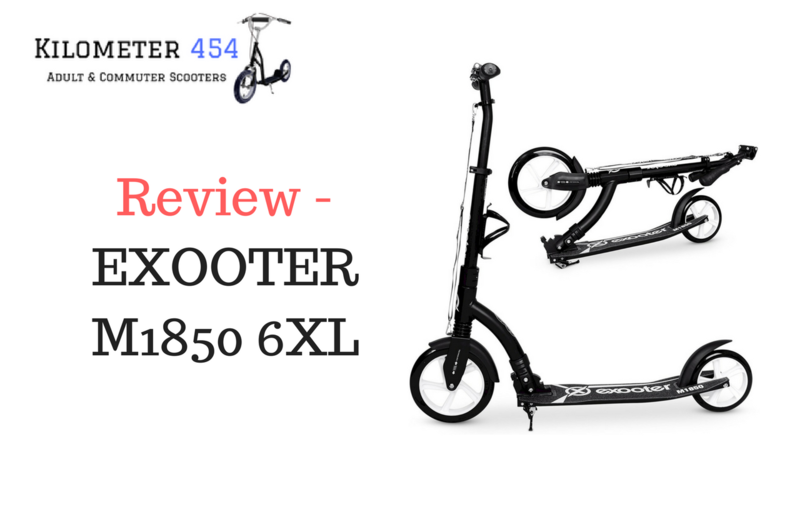 The EXOOTER M1850 6XL Adult Kick Scooter and it’s a nice looking Adult scooter that will turn heads. 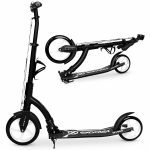 It’s designed for city sidewalks and cruising as it comes fitted with Front Suspension Shocks and large, 240mm Front Wheels and 180mm Back Wheels for added stability. 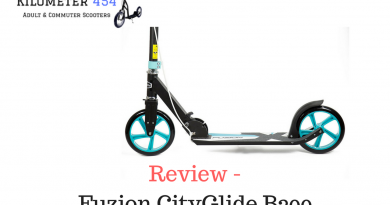 The wheels are also designed specifically for uneven pavements, potholes and surfaces for high bounce, and the wheels are made of polyurethane for smooth and comfortable cruising. 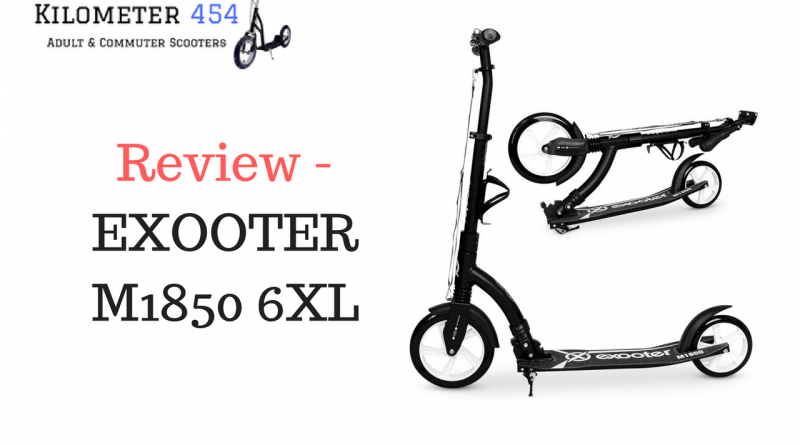 There has been thought put into the scooter model design, the curved aluminium frame gives this a sleeker look and moves it visually away from similar kids scooters. 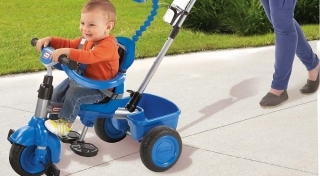 The colors are more muted than vibrant but they add a nice urban feel to them, again making the adult scooter statement and moving you away from the typical Toy type colors, choose for Charcoal, White or Black models. 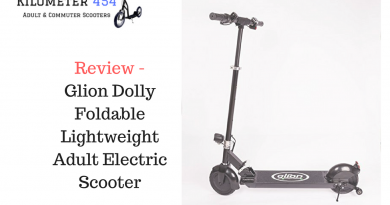 The scooter specs claim a top load of 220lbs weight capacity. As with all the best commuter scooters it is designed to be easily folded for transportation and storage and it comes with an easy carrying strap. It’s also lightweight at only 11.5Ibs and the weight is kept to a minimum thanks to it’s sturdy aluminium frame and deck. It has a super quick and easy folding and unfolding spring system with lock. As an added bonus it comes fitted with a water bottle holder as standard. As well as the typical friction style rear break, this model also has a front break for added safety. Add to that it’s funky little kickstand and this is an Adult Scooter to be seriously considered for fun and for commuting or blasting around the campus. Note – do watch the kickstand, it can catch on corners so it may be best to remove it! 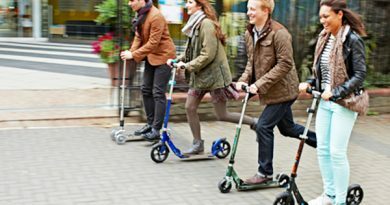 ← Why Choose An Adult Kick Scooter?